Thai Massage – This therapy type is native to Thailand and is said to have been practiced by monks there in the 5th AD. It is a unique amalgamation of Ayurveda, acupuncture and Yoga. The person undergoing one, needs to wear a loose and comfortable outfit. You are made to lie down on the floor or on a table depending on how mobile your body is in terms of flexibility. A lot of compression, pulling and stretching goes on in this type of massage. You can find the cost of Thai massage in India here. Reducing stress levels – Thai massage is a known method of reducing mental stress effectively. Improved metabolism – Metabolism receives a boost, blood circulation increases and immunity also increases after undergoing this massage. Further toned muscles are also an added benefit. Swedish Massage – A Swedish massage is your best bet, if you haven’t tried your hand at massages or anything to do with a spa. Warm essential oils are used by a therapist for massaging specific points on the body. However, you need to tell the therapist in advance if any body-parts have pain or aversion to outer pressure. This for avoiding any possibility of further injury. You can find the the prices of Swedish massage in India here. Relaxation – Studies have shown that a Swedish massage is an important mode to reduce stress levels in the body by bringing about a drop in stress hormone levels. Immune systemic benefits – Quantity of White Blood Cells in the body also improves after this type of massage leading to a healthier immunity. Improves energy levels – Energy levels in the body receive a boost after a Swedish massage as it relaxes muscles and tissues. Deep Tissue Massage – As the name suggests, a deep tissue massage goes for deeper and inner layers of muscles. It is similar to the Swedish massage, but only difference is the pressure used for massage. The pressure is quite strong in comparison to Swedish massage type. Massage is directed at deeper levels of tissues in hips, shoulders, back and other areas that become stiff due to stress. The person is made to lie face down on a table, so that points on back can be worked on first gradually covering the other areas. Find prices of Deep Tissue Massage here. Hypertension – Deep Tissue Massages are known to bring down high blood pressure readings in men and women. Joint pain – Symptoms like chronic joint pain and affected range of motion in sportspersons maybe relieved with deep tissue massage sessions. Sleep problems – Since deep tissue massages have the ability to reduce cortisol levels in the body to a large extent, sound sleep is restored because of it. Balinese Massage – Balinese massages are aimed at stroking the pressure points on the body for ridding muscles of strain. This massage combines stretching and kneading the muscles and use of acupressure for the same. It is very effective for people suffering from any type of sports injury. Vegetable oils are used for the same according to the skin type of the person. 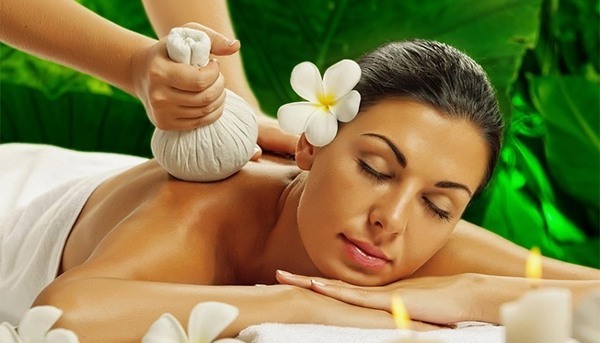 Find prices of Balinese massage here. Detoxifies body – A Balinese massage helps in cleaning the body of toxins collected, in a way improving metabolism. Skin softener – One’s skin becomes soft and supple after undergoing this type of massage. Mood booster – Some rarely used essential oils in a Balinese massage improve one’s mood and the fragrances in it help one to relax. Blood flow improves – Balinese massage stimulates flow of blood in the body. 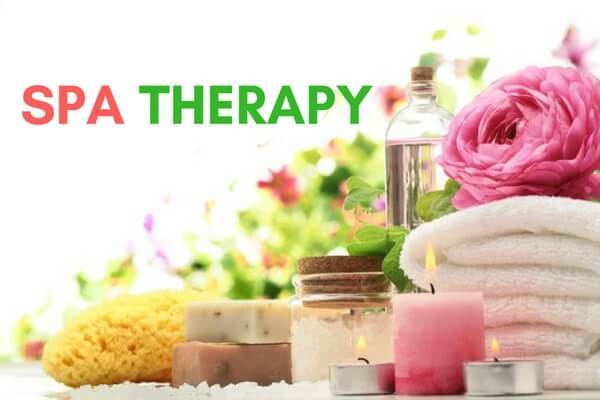 Aromatherapy – Natural oils extracted from flowers, roots, bark of trees, herbs, medicinal plants are used for massage in aromatherapy. These elements have medicinal and healing properties, hence they are effective in treating psychological and physical conditions. 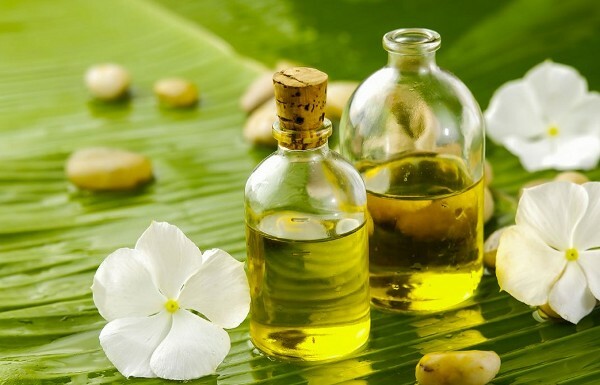 Find aromatherapy costs in major Indian cities here. Breathing issues – Oils used in aromatherapy cleanse the air of bacteria that give rise to respiratory issues or aggravate existing ones. These oils are instrumental in treating flu, coughs, sinus infections and throat issues. Sleep problems – People suffering from sleep problems and insomnia benefit from the essential oils used in aromatherapy. The oils promote relaxation that helps the person get sound sleep. Skin quality – Skin problems like acne, itching, rashes, inflammation can be treated organically with oils in aromatherapy. Reduced depression – Symptoms of depression are kept at bay through aromatherapy. Body Wraps – A Body wrap comprises of exfoliation and salt scrub. Natural ingredients like clay, herbal elements, or mud are used for the same. Plastic or sheets are also used for wrapping purposes when you are left to relax in a dimly-lit environment for 20-30 minutes . Unwanted toxins are pushed out through skin pores by way of body wraps. Slimming body wraps are aimed at weight loss. Moisturized skin – The elements used for wraps contain moisturizing qualities. Hence your skin becomes soft and radiant at the end of the session. Prenatal massage – If you are an expecting mother, then this one’s for you. Visiting a qualified therapist for the massage is advised. A qualified therapist knows the exact regions to work on without causing any harm to your health. A prenatal massage is similar to a regular massage and aims at reducing stress from abdominal muscles, shoulders, back and neck regions. Depression – Prenatal massage improves your overall state-of-mind and disposition. It also reduces signs and symptoms of prenatal depression such as feeling lost, moody, anxious, hopeless and so forth. Relax – Like a regular massage, prenatal massage helps expecting women get rid of stress and body-ache, thus also improving blood circulation. Facials – Facials rejuvenate the skin on your face and neck region instantaneously. Facials are what come to the rescue of women who have to look good for any important social functions but do not have a penchant for makeup. It involves massaging the face and neck regions smoothening out pimples and blemishes. 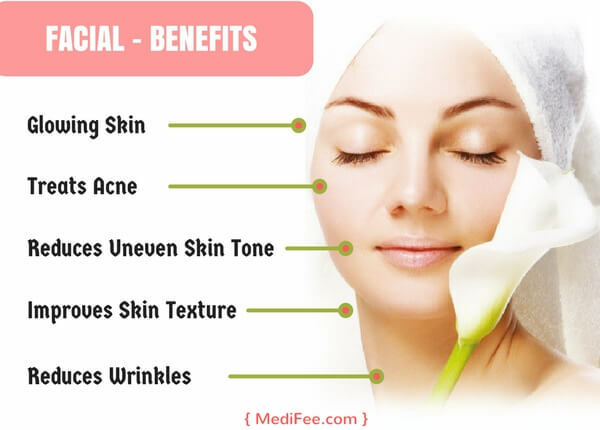 Find the cost of facial in India, here. Glowing skin – Dead skin cells, whiteheads, acne marks all are removed during a facial. That imparts a glowing appearance to the skin. Going for a spa session is highly relaxing. Above mentioned were few spa services which you can avail of or can gift your loved ones with for important occasions.